Heavy rains and floods that happened on the east of the Iberian Peninsula nearly a month ago are the protagonists of the new sampling campaign that began last week. 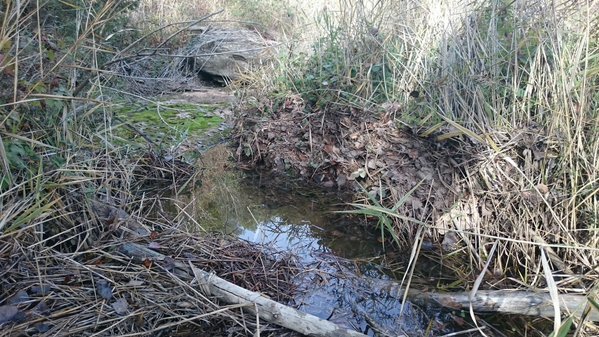 The effects of floods can be seen clearly in the rivers of Catalonia that we have visited during this first week of sampling, such as Talamanca and Riera de Pineda. There, we found that lots of leaves, branches and trunks were dragged by the increase of stream that produced the strong storm. The call was Hyperrheic, as explained in a previous post, has also made some rivers connect ponds in summer were isolated, such as the river Glorieta. So far, we have sampled the rivers Brugent, Torrent Puig, Darò, Onyar, Aigua d’Ora and Riera de Tossa. However, the campaign continues and this week we plan to visit to the rivers of the Ebro basin: Canaletes, Algars, Siurana, Montsant and Matarranya. And later will be the time of the Valencia’s rivers. What will be find there? If you want to learn it before anyone else, do not forget to follow our twitter updates @LifeTRivers!